When customers go to a showroom, they don’t want to walk through and see a setting that doesn’t seem comfortable. A person wants that space to mimic their own home—or at least their dream home. Echo Systems has created that dream home and turned it into a 10,000-square-foot demo. Located in Omaha, NE, the $2.5 million project includes a state-of-the art entry space, complete with slick, black slate floors and a slate reception area, granite countertops, a starfield ceiling, and a stone wall with a Planar mosaic video wall displaying the company’s name. The actual tour begins at the front door of the home, with a connected doorbell, intercom, and camera system. Once customers cross through the entryway, there’s a high-tech kitchen area, living room, study, bar, bedroom, and even a bathroom. It also has dueling AV spaces, with an entertainment room and a dedicated home theater. Clients can walk through any and all of the rooms, whether it’s to gather ideas or just stand in awe of how technology can be beautifully incorporated into a home. 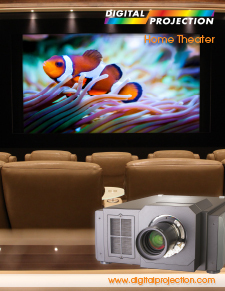 That home theater is an especially popular showpiece. 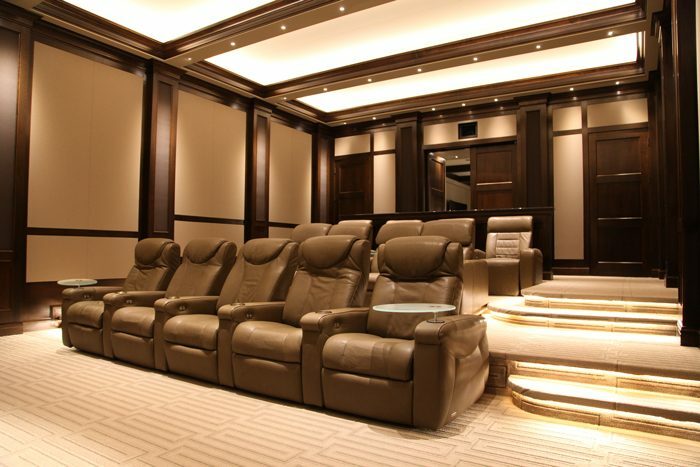 Better than any Cineplex, this spot features warm Lutron lighting, 16 plush CinemaTech Le Grande home theater seats, and immersive audio via the Steinway Lyngdorf LS system. The company’s engineers and technicians worked with Steinway to make sure that every spot in the room was the sweet one. 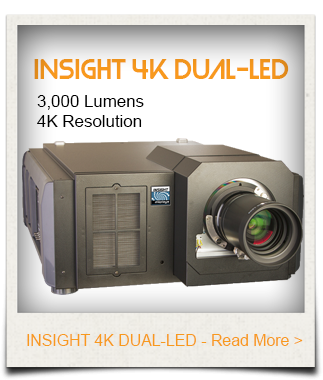 The room’s crowning jewel is definitely Digital Projection's Insight 4K Dual-LED, a 3-chip DLP projector that can deliver a crystal-clear 4096 x 2160 resolution with combined LED illuminators. 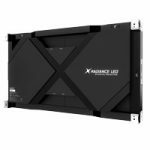 That’s because it’s the one piece that’s cranking out eye-popping images with an expanded color gamut and better brightness—well beyond the REC 709 color standard. It also boasts 3,000 lumens, 3D support, flexibility, and a cool operation. In this setting, guests can view those stunning Ultra HD images on an acoustically transparent 15-foot-wide Stewart Director’s Choice screen. 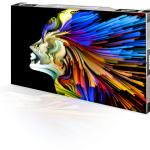 This model features both horizontal and vertical masking, so it can accommodate a wide variety of content, including gaming. To demonstrate, Echo Systems has an Xbox One hooked up to the system. Not only does it show customers how one little console can bring in an endless amount of streaming entertainment, but it also demonstrates how to really get in the game—by immersing yourself with those beautiful, big-screen images. And just like it should in a regular home setting, the action in the theater room doesn’t disturb any of the other areas in the show home. When you close the theater doors, the sound inside can’t be heard throughout the rest of the demo space. That’s because the company acoustically treated the room, with help from Paradise Theaters. The living room features a custom Séura mirror TV and the Steinway audio system for everyday entertainment. 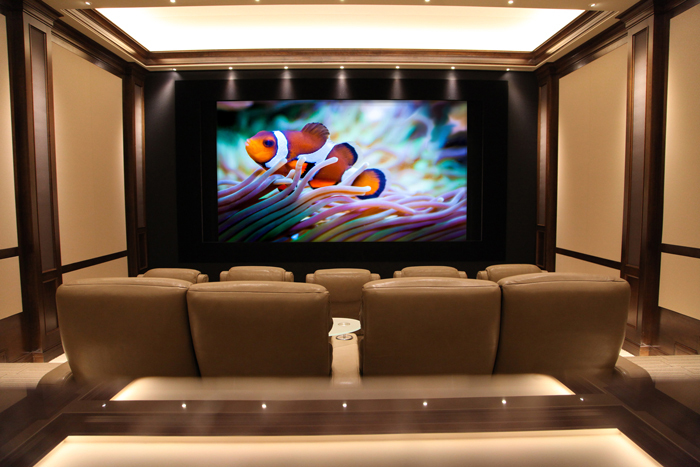 However, one push of the “Theater” button on the control system triggers a motorized system to expose ceiling speakers and a projector, as well as drop down a 120-inch Stewart screen. The other areas of the show home are just as entertaining, from “invisible” Sonance speakers and a subwoofer in the dining room and in-wall speakers in the home office to two video options in the master bedroom. “One is on a motorized lift from the ceiling and the second—and the one that gets more attention—is the Media Décor lift that reveals a television,” Dushan adds. Even the master bath is high-tech, with a lit Séura mirror TV over the sink. There’s also a white glass Séura Hydra TV located in the shower, with a transducer that can turn one of the show tiles into a background audio speaker. However, Echo Systems doesn’t just highlight items in specific rooms, but also shows how some solutions can be connected throughout the entire house, such as lighting and audio. Everything in the home is linked to a Savant control system that can be accessed anywhere in the demo home. It’s truly amazing how many high-tech goodies are packed into this one space. While it does give customers a good idea of what it’s like to live with technology, the company has made sure to also show how technology doesn’t interfere with everyday life. “It was really designed to show how technology doesn’t have to impede on a home’s aesthetic,” Dushan said. There’s one part of the Echo Systems tour that you wouldn’t find in the typical home setting. The production room is a spot inside the show home, where the company builds all of its jobs. It includes all sorts of technology, including Meridian speakers, separate in-ceiling speakers, and Lutron lighting. It even has two separate Stewart screens paired with a Digital Projection E-Vision 8000 1080p projector. However, this setup isn’t just to show how technology works, but was designed to make sure technology works correctly once installed in a client’s home. Dushan says that the company starts system production 45 days before its actually installed in a client’s home. The company gets the systems fully racked up in the production room, where they also do all of the programming, wiring, and testing. Then, each product is packaged up and sent to the job site whenever it’s ready. Visiting clients can watch all of this magic, as it happens, inside the show home, which also features a high-tech kitchen, master bedroom, bath, and multiple entertainment spaces. “That’s been an important part of our tour, so clients can see what’s really behind the scenes,” said Dushan.